You are currently browsing the Bullwhip blog archives for February, 2008. Yes, that’s right, a Circle A mountain bike. I know what you’re thinking. Do you people even make mountain bikes? Do you even know how? Well yes. Yes we do. We just don’t do it all that often. There are some different challenges and design considerations, but if it’s a bike we like it. 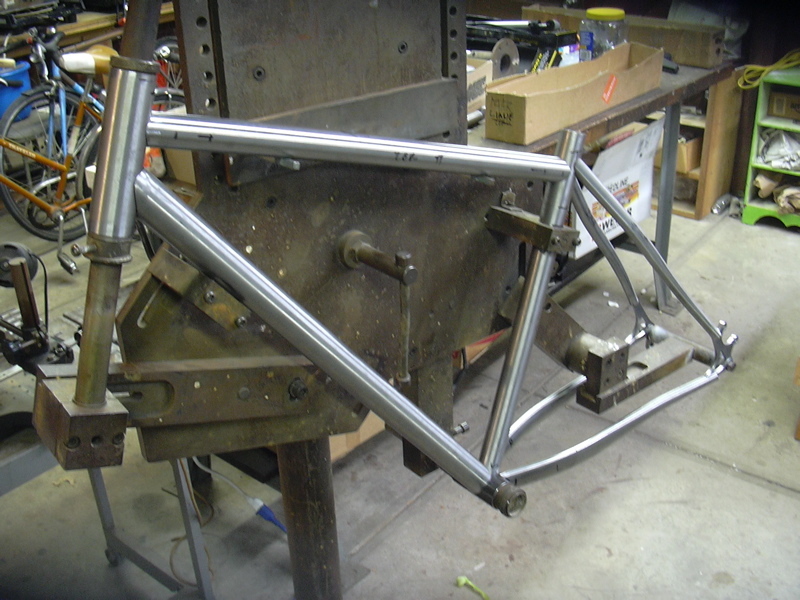 Especially a light hardtail like this one, for our great friend Liane. 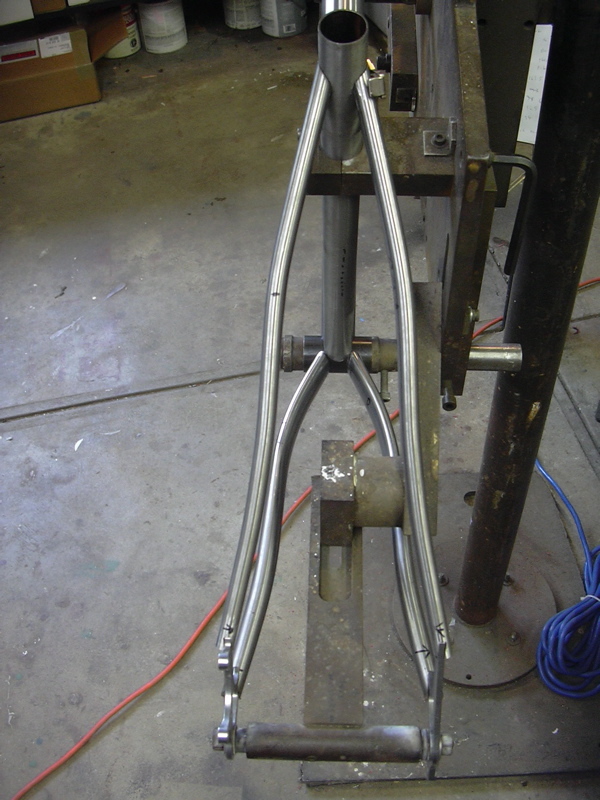 They’re very pretty and svelte and transfer the considerable forces from the disc brake down into the chainstay, and are helpful for tire clearance (clarence) because they’re long and allow the seat stays to start relatively high up. 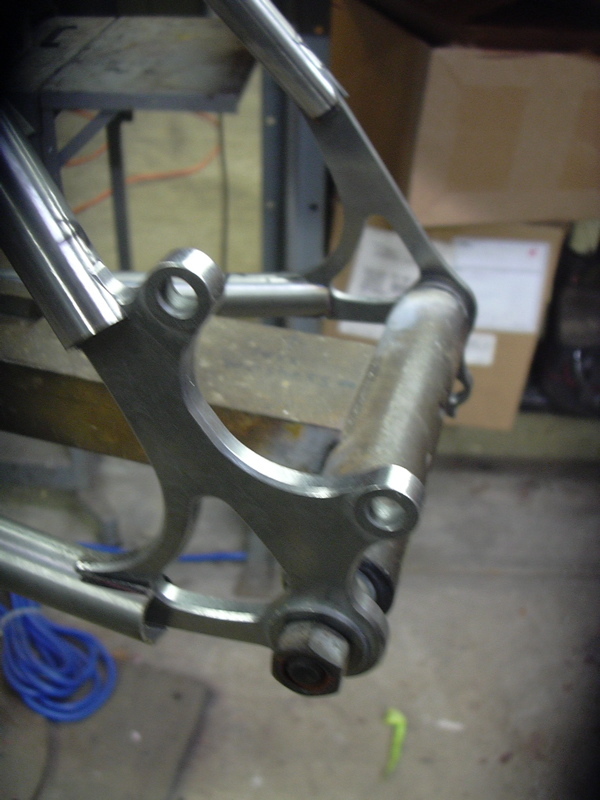 As you can see each joint is just tacked in a couple of spots. 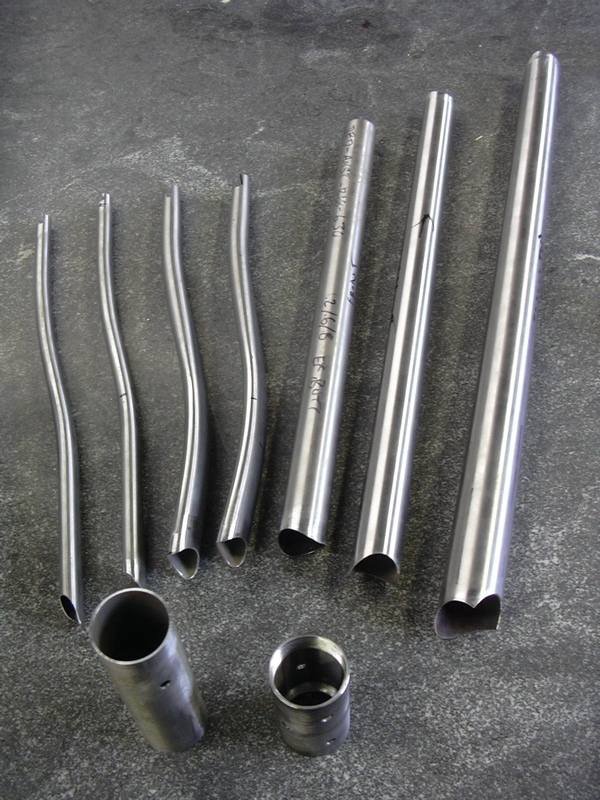 The tubes will pull a bit toward wherever you weld first, so I look at it on the table to come up with a welding pattern that will set things straight and true. 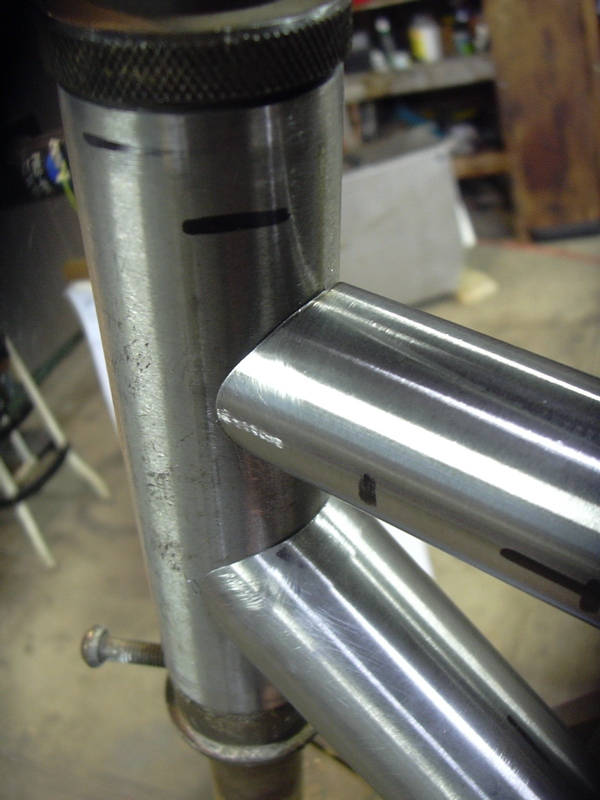 In this case, the seat tube and top tube were spot on, but the down tube was pulling a little left (go figure). 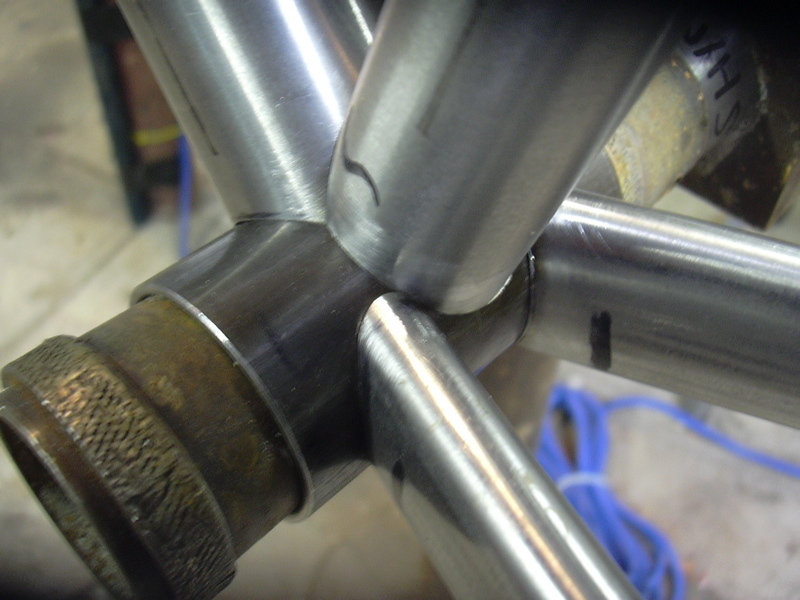 To correct this, on the welding table I finished the beads on the right side of the bb shell/dt joint first. Then I put it back on the table to make sure everything is still jake, and so on. If things go my way, I won’t have to do any cold setting at all. And here’s the full frame, coming in at 3.5 lbs. 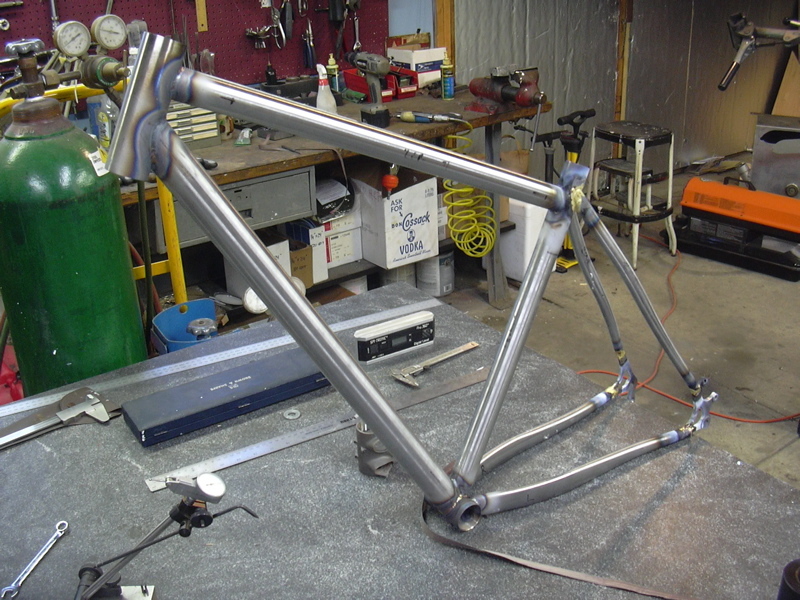 Now it’s time for bridges, braze-ons, and paint! Next bike? 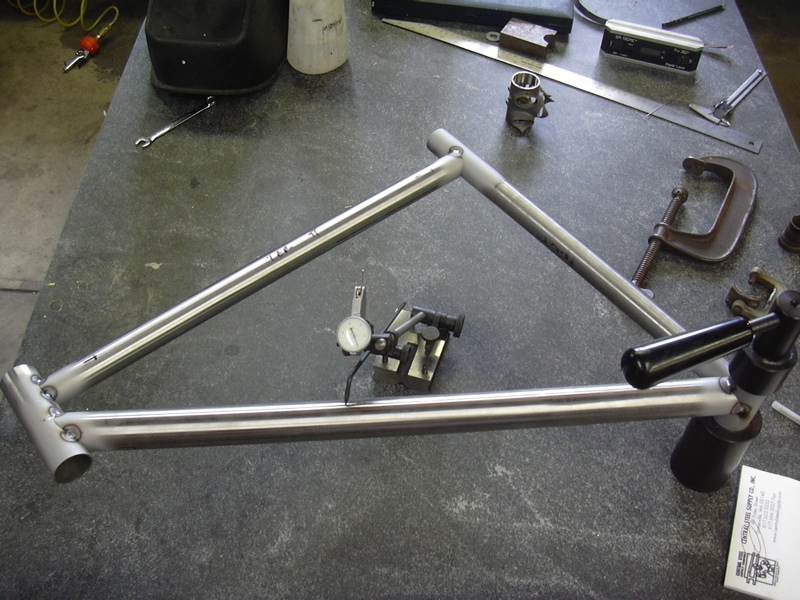 A Circle A first – an S&S coupled bike for Kipp! Stay tuned!